We posted an article about the official launch of Windows 10 and as said we would be covering Windows 10 in details and will review all the features it offers. Windows 10 is still in beta stage, hence we would review the Windows 10 using the Technical Preview Version from Microsoft. However, since this version is still in production and not the final build so it may not have all the features included into Technical Preview version. Soon after the release of Windows 8, Microsoft did realize that the transformation they wanted to bring in Windows environment was not getting completely accepted by its users. Microsoft took all the positive and negative feedback by Windows 8 users and implemented to bring a better version of Windows. We can’t come to the conclusion now, whether Windows 10 is success or not, until its not released officially to store. This reminds me of Windows Vista that was a failure when launched, however they soon later launched Windows 7, and we all know that Windows 7 was a huge success for Microsoft. Honestly, we missed Start Menu option in Windows 8. Though they added Windows start menu later in Windows 8.1, but it was not that we wanted. 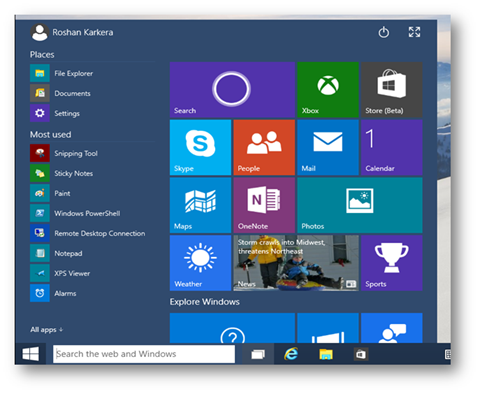 However, finally Windows Start menu is back in Windows 10, its something to cheer for all Windows 8 users. In Windows 10, the start menu is divided into two parts, one side to left are application icons and other side of right are titles. There is also new toggle button added that expands the tiles into a full-screen mode. Charm Bar was something that never been that helpful on Desktop and Laptop. In fact, it was more annoying when we moved mouse, and it used to pop up. 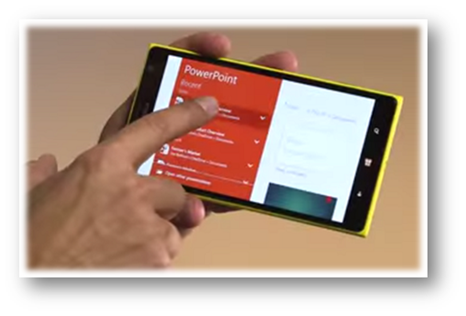 However, it was more helpful for Tablet or Touch screen users by just using the swipe on the screen. Microsoft has not said much about the Charm bar in Windows 10, but it is believed that charm will be staying in Windows 10. Charm bar will work in Touch screen system and will be disabled for Desktop users. Cortana is an intelligent personal assistant on Windows Phone. The feature of Windows Phone Cortana is now added to Windows 10. Cortana is much like of Google Now and Siri from potential rivals like Google’s and Apple’s Microsoft did try to bring something new to Windows by adding Cortana in Windows 10. It does perform some impressive task using the Voice command when you click on microphone icon or by just saying, “Hey Cortana” in listening mode. You can ask anything related to weather forecast, ask Cortana to send mail to “XYZ” person, ask any query like what is tallest building, etc. You can even type queries in Taskbar Search, which seems to be very useful. However, there were few times where few key phrases were not recognized correctly. It seems that few improvement still required this to be called as a perfect tool for its success in Windows 10. Microsoft Windows 10 is developed to be run on multiple devices rather just running on a desktop system. This sound very interesting but how it’s going to work this is something that we need to wait and watch. So far, we have just seen the teasers showing tiles menu shown on Phone stating it as Windows 10. However, Microsoft has confirmed that the Windows 10 is also the next major version of Windows Phone and expected to be released soon in the market. It seems that Microsoft has planned something big with an intention to capture market in OS for Desktop and Mobile and Tablet devices. This might give a tough competition to Google’s android, and Apple’s iOS operating system devices. 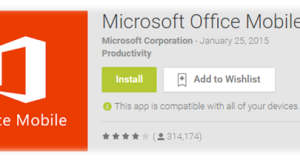 According to Microsoft, Apps will now be universal that will allow to run on multiple devices regardless of which screen device you are working. For e.g. If Word Application opened on Desktop system, same can be open windows 10 devices on tablet or phone. Though these universal apps will adjust automatically according to the device however, I am just concerned about the backward compatibility for the older apps to work. 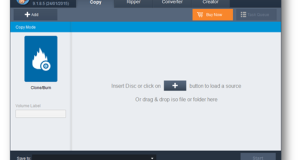 The Modern universal app will now also allow you to resize window, as earlier it used to work in Full-Screen Mode. Windows 10 will be shipped with two browser i.e. Internet Explorer and Spartan. Spartan is a new browser developed to be run on all devices. It will also incorporate the features of Cortana for better web experience. One of the popular features of MAC OS X and Linux is finally being added to Windows. 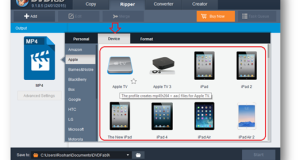 You can now create multiple desktops in same screen. For e.g. For Office work and Home, I can have a separate desktop. Multiple desktop feature is a great way to organize windows and for multitasking. 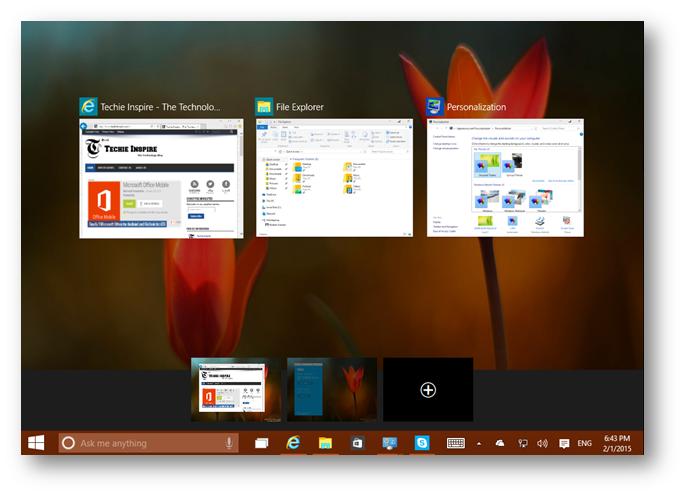 Aero Snap is also getting updated to snap four windows for better multitasking. Are you a gamer? 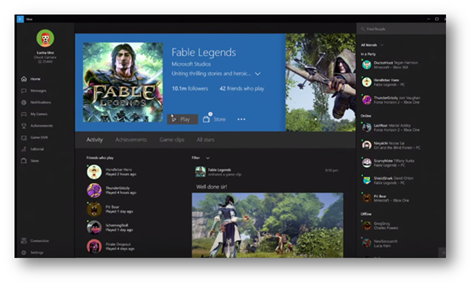 If yes, then you should be interested to know that Microsoft is adding Xbox’s features to Windows. 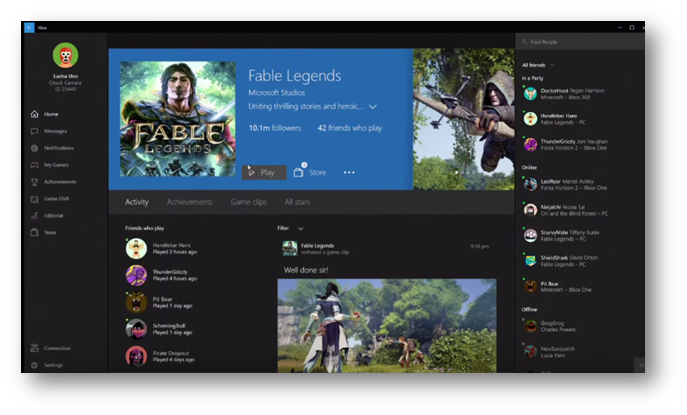 This will allow to view game’s collection and chats with other gamers and much more. While playing game, you can even record your games during gameplay and share with other. Microsoft Holographic in Windows 10 sure tell us that we are heading in the future with great technology. This is something that reminds me of Sci-Fi movies that always has this transparent screen called Holographic Screen. Holographic in Windows 10 is possible using the Microsoft HoloLens headset, a device that needs to be used as a goggles for your eyes like Google Glass. 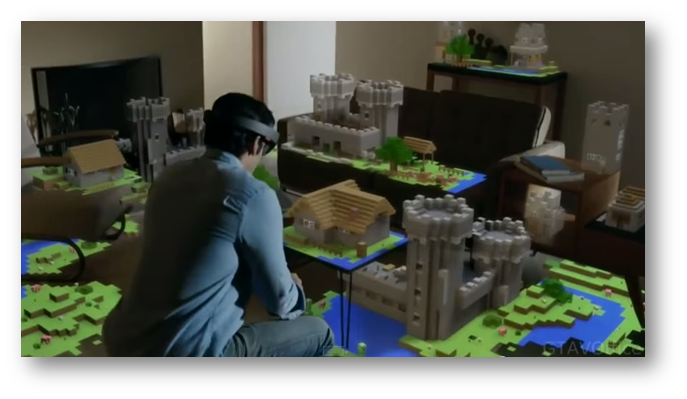 The HoloLens headset is described as “the most advanced holographic computer the world has ever seen.” It’s a self-contained computer, including a CPU, a GPU, and a dedicated holographic processor. You can even hear the sound and set of motion and environmental sensor. With the help of HoloLens, you can demonstrate presentation to clients by touching the holographic screen. It would a great help for 3-D model presentations that would look very realistic. 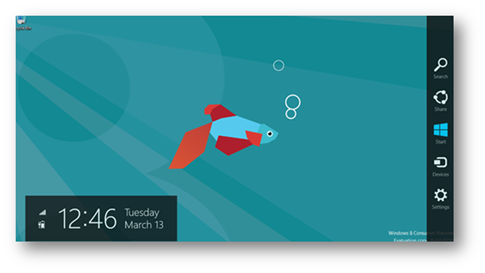 However, it’s still in development and will be made available once Windows 10 is released. Apart from above features, there are few changes to look and feel of Windows Explorer, also command prompt been updated in Windows 10. As said earlier, Windows 10 will be free for Windows 7, Windows 8 and Windows 8.1 users for the first year. Let us know what you think of Microsoft Windows 10.